Make leisure time fun for all children and adults with autism spectrum disorders. 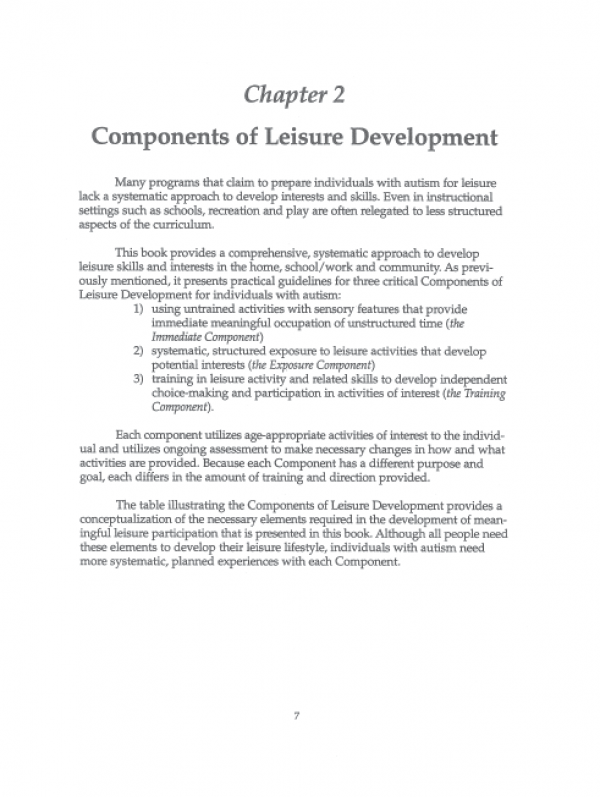 Leisure time should be a part of the day that all look forward to enjoying. 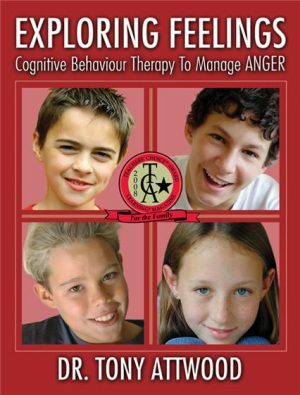 For many, it can cause anxiety and fear. 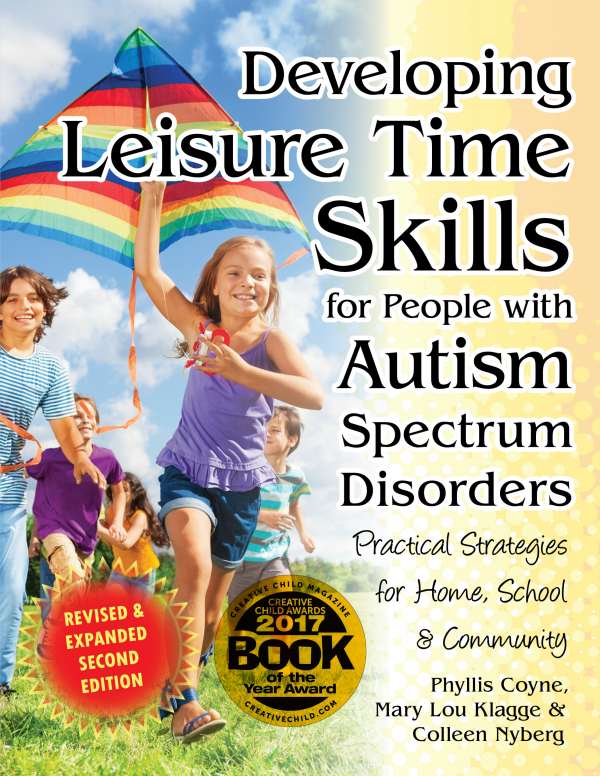 This book provides comprehensive, structured strategies introducing meaningful leisure time to ASD children and adults, which they can practice at home, school, and in the community. 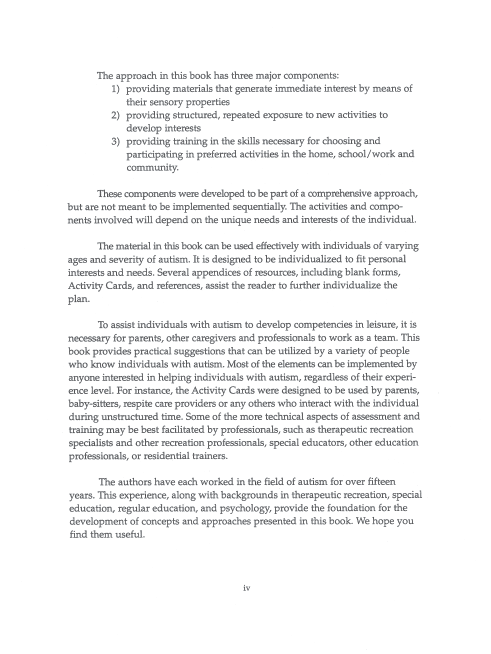 This book has a wealth of ASD information, including forms and charts that will help to assess sensory needs; select age-appropriate activities and assist in determining the level of interest in specific activities; 48 “Activity Cards” for going to the park, playing games, and many more! 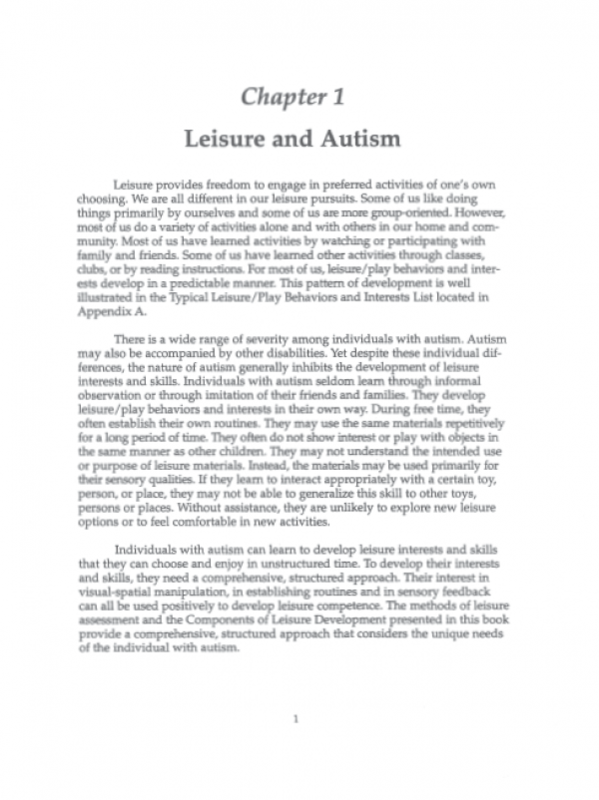 Make leisure time fun for all children and adults with autism spectrum disorders! Leisure time should be a part of the day that all look forward to enjoying, but for many it can cause anxiety and fear. 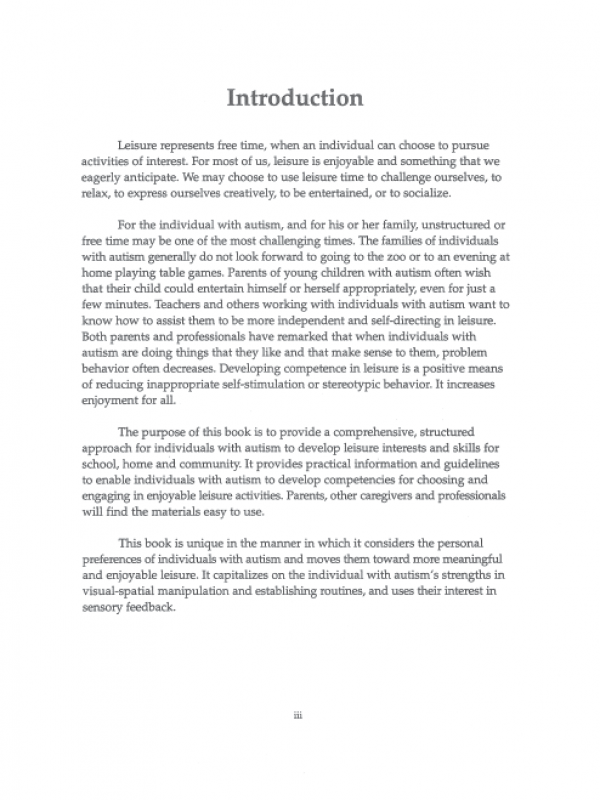 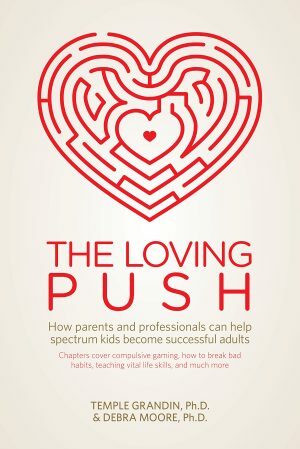 This book provides comprehensive, structured strategies to introducing meaningful leisure time to ASD children and adults, which they can practice at home, school, and in the community. This book has a wealth of ASD information, including forms and charts that will help to assess sensory needs, age-appropriate activities and assistance in determining the level of interest in specific activities, thirty seven “Activity Cards” for going to the park, playing games, and many more! 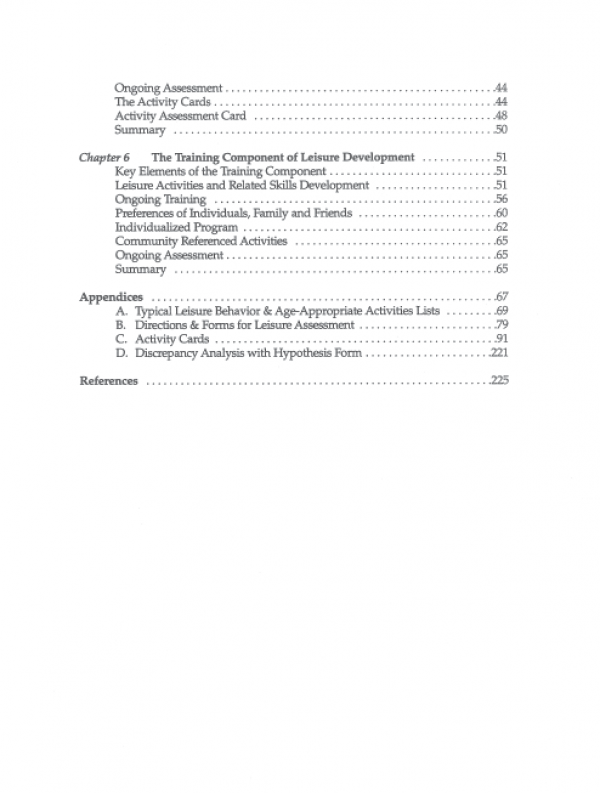 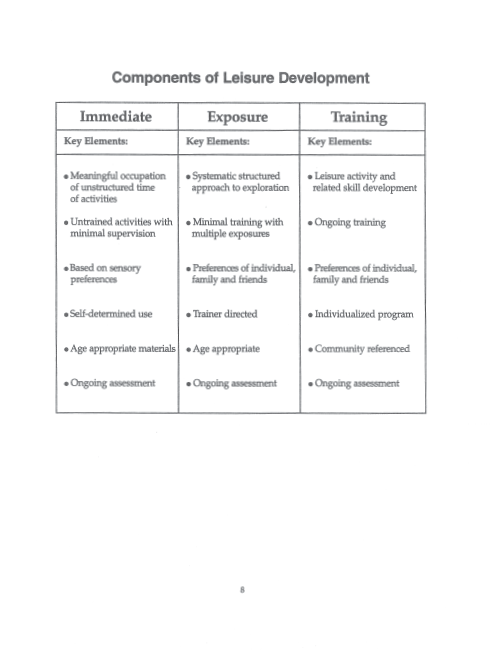 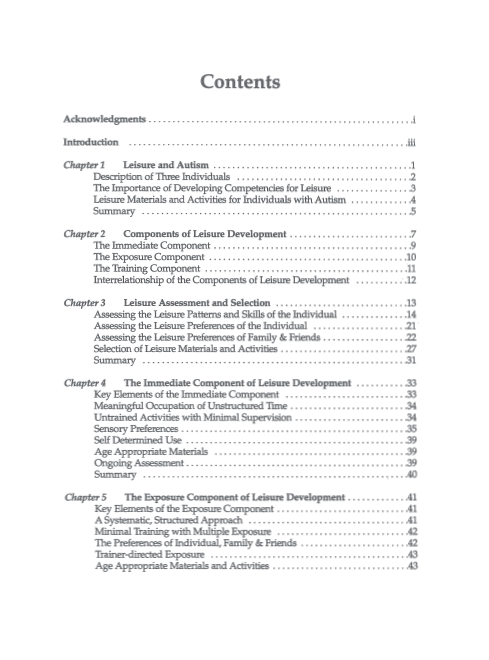 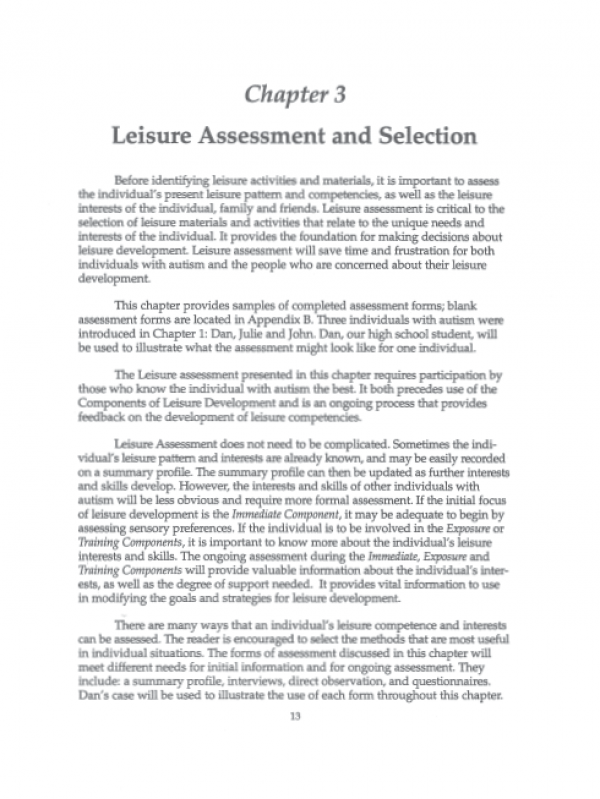 This detailed guide also covers the components of leisure development, assessing leisure patterns, skills, and preferences, activities that require minimal supervision, community activities, ongoing assessment, and more! Click Here for a free excerpt that includes Chapter 1 and Book References! 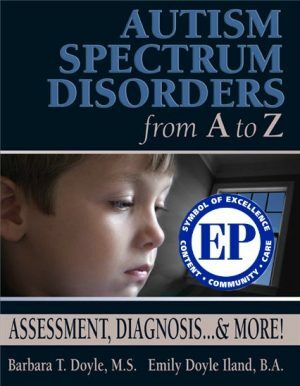 Phyllis Coyne, MS, has been an autism consultant to school districts for over twenty years. 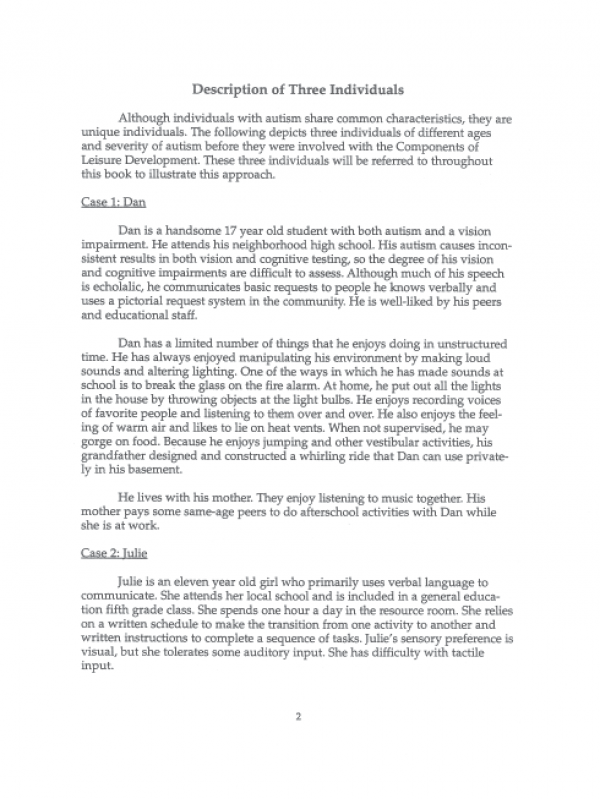 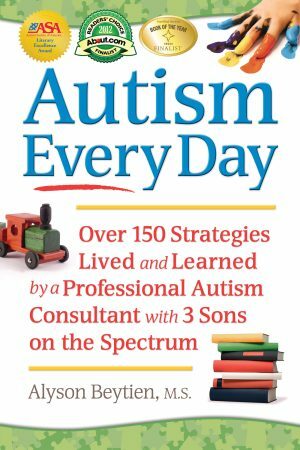 She is the coauthor of three books on autism spectrum disorders. 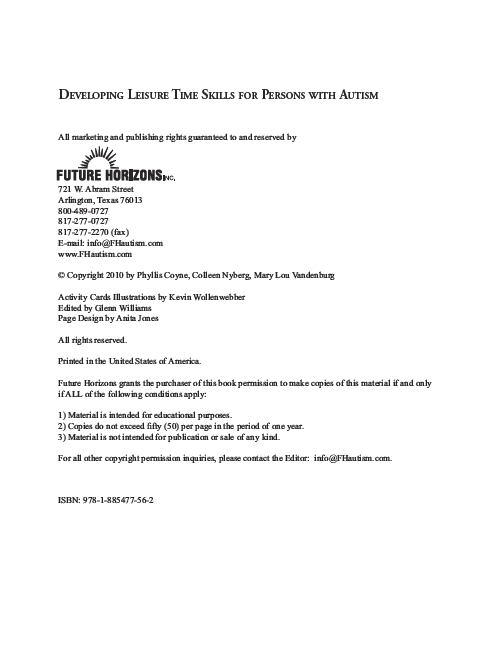 During this time, she has trained and consulted with thousands of staff and parents in effective techniques for supporting individuals with Autism Spectrum Disorder. 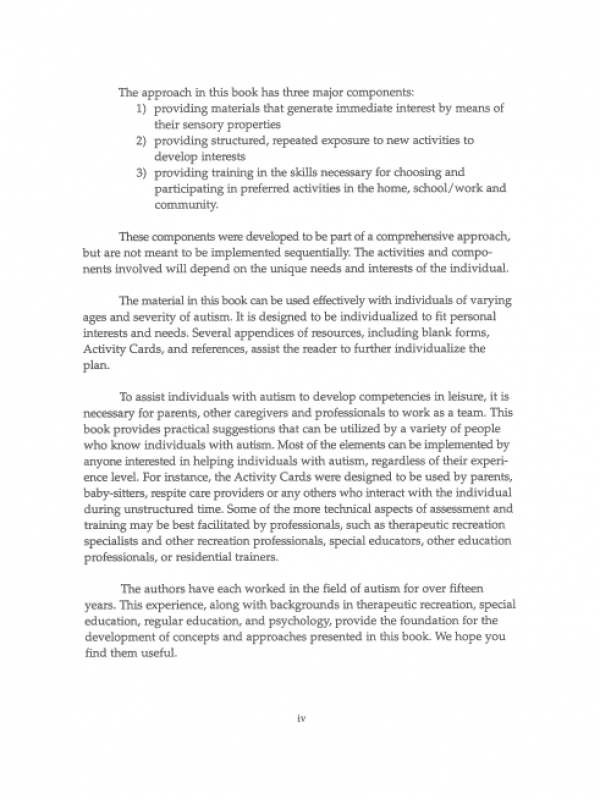 Previous to being an Autism Specialist and special education teacher, Phyllis worked in inclusive outdoor adventure recreation, coordinated a model demonstration project on recreation for adolescents with developmental disabilities, and was a Therapeutic Recreation consultant in North Carolina and Oregon. 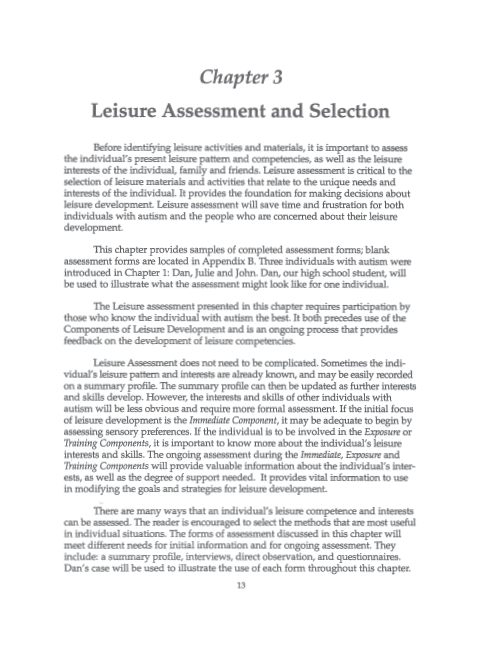 She has served on the Board of Directors of the National Therapeutic Recreation Society, the editorial board of the Journal of Leisurability, and the Leisure Committee of the Association for Persons with Severe Handicaps.